The new Machine Head album is finally here. There's been a lot of speculation about whether or not they'll be able to live up to the high standard set by The Blackening, but when you give Unto the locust a listen then you'll soon find out they've surpassed themselves - this could well be their best album yet. The first minute of the opening track will have Machine Head fans panicking on their first listen - some soft chanting choral vocals hardly sounds like something you'd expect from a Machine Head album, but that's how they've chosen to open the album. Thankfully after a minute the guitars kick in and we're back to what we love from Machine Head - some seriously powerful metal. In fact the song quickly turns into some seriously heavy thrash metal ! There is plenty of variety in this album - changes of pace from the slow and heavy to the brutally fast and heavy, to slow gentle melodies, Machine Head are really showing off their talent in this album. They're also not afraid to experiment - the choral vocals at the start of "I am hell" and the childrens choir at the start of "Who we are" being the most obvious examples. 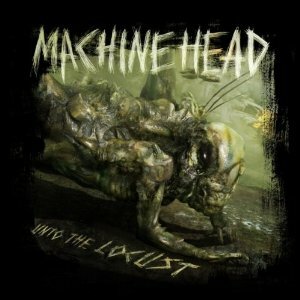 This is an immensely heavy masterpiece from Machine Head. An essential purchase for any Machine Head fan.